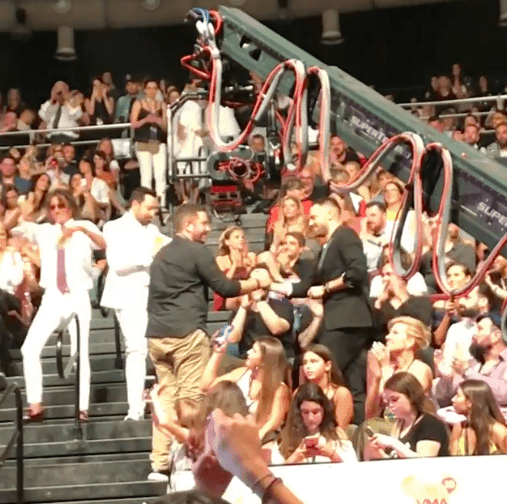 The Video Music Awards, an annual awards show that airs on MAD TV, returned for the 15th consecutive year last night in Athens, at Faliro Sports Pavilion Arena. The event honours the year’s biggest music achievements, voted by viewers of MAD television and this year saw a record participation in voting for the winners. Singers, musicians, celebrities, presenters and pop-icons climbed the stage, presenting spectacular performances and like every year, most of the biggest names joined forces for enchanting collaborations, while receiving their awards. 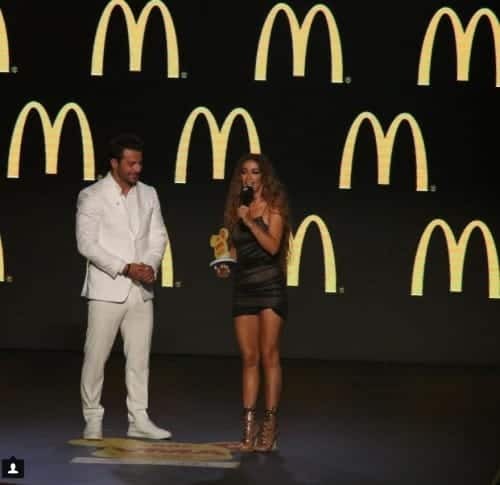 The Red Carpet show was presented by Coca-Cola & McDonald’s, where celebrities strutted their stuff, highlighting their choice of style, including Elena Paparizou who stood out in her gold metallic leotard with sequinned mini skirt. Konstandinos Argiros swept the awards, after conquering both the Best Singer and the Best Song of the Year for the “Ximeromata” that was an obvious winner! Competing against him for best song of the year was: Melisses for their song ‘To Kyma’, Stan ‘Tora Lipo’, Nikos Vertis ‘Erotevmenos’, Giorgos Giannias ‘Logika’, Nikos Oikonomopoulos ‘Gia kapoio logo’, Pantelis Pantelidis ‘Karavia sto vitho’, Elena Paparizou and Anastasios Rammos ‘An me dis na kleo’, Antonis Remos ‘Spasmena Kommatia Tis Kardias’ and Giorgos Sampanis ‘Min Anisicheis’.